Precision Audio Video is the leader in home integration, specializing in the installation of structured wiring, house music, lighting & climate control, home theater, home automation, and more staying on the cutting edge of technology while meeting the ever changing needs of our customers. We recognize the special care and attention to detail needed when building, renovating or updating your dream home. Expect the best, call us today! 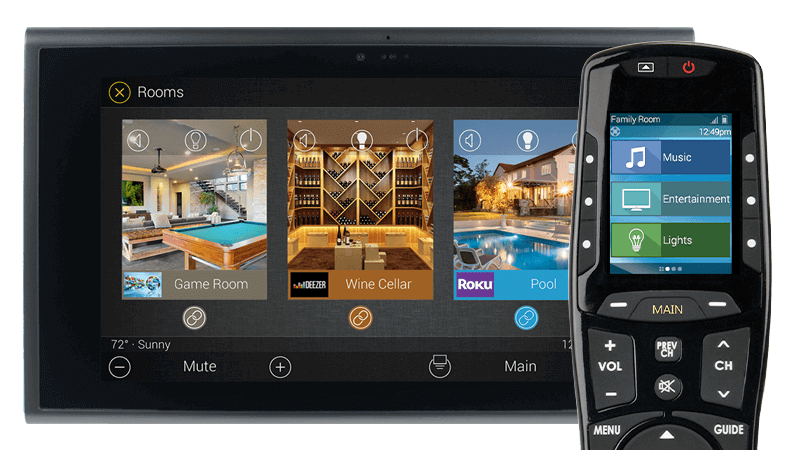 Precision Audio Video helps you save money and breathe a little easier with our state-of-the-art home automation packages. You can check security surveillance for your home at any hour, adjust the volume on music broadcast throughout your house and even adjust the desired home temperature without moving from your chair. Our Home Automation Technology helps you consolidate control of multiple systems with a single user-friendly interface that gives you complete control of your home. Allow us at Precision Audio Video to place you on the cutting edge of systems control and turn your home into a streamlined and modern masterpiece. Effective systems integration requires careful planning, layout, and design. Precision Audio Video offers advanced system design services. From installing flat panel TVs to automation control, Precision Audio Video is here to design and execute your systems just the way you envision them to be.